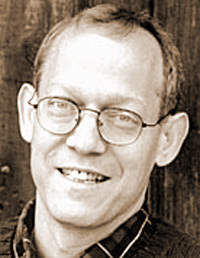 Alan Shapiro is the author of nine volumes of poetry, the most recent of which are Tantalus in Love (2005) and Song and Dance (2002), both from Houghton Mifflin; two prizewinning memoirs, The Last Happy Occasion and Vigil, both published in 1997 by the University of Chicago; a work of criticism, In Praise of the Impure: Poetry and the Ethical Imagination: Essays, 1980-1991 (Northwestern University, 1993); and a translation of The Oresteia (Oxford University, 2004). Shapiro has received a Los Angeles Times Book Prize, a Lila Wallace–Reader’s Digest Writers’ Award, and the Kingsley Tufts Poetry Award, among other honors. He currently teaches at the University of North Carolina at Chapel Hill.